Sports teacher since 1996, personal trainer, yoga instructor and passionate surfer. The passion to move the body, she had since her early childhood. Now it is her career and vocation. Sharing the knowledge of physical and mental movement has made her a better and happier person. Surfing and Yoga is linked very closely. Good surfers practice every day, thus increasing their strength, improving balance and understanding of nature and environment. Even the special breathing technique in yoga increases lung capacity and all in all an incredible potential of unity of power and flexibility can be achieved with regular yoga. Even in tricky situations an inner peace and serenity will be kept. Very important: Practicing yoga just makes so much fun! Those who had once the opportunity to enjoy practicing yoga, do not want to miss that feeling no more – just like surfing. Syvia is one of the yoga instructors most passionate about surfing we have seen! As a former dancer, Filipa Veiga began her Ashtanga Yoga practice as taught by Sri K. Pattabhi Jois in Lisbon in 2004 with Isa Guitana and Tarik van Prehn. Since then, she engaged in variant forms of yoga during her travels to India for further research into the practice. Filipa has been teaching for the past 5 years, specially in the the Yoga Meca, Ubud, in Bali. As an international yoga teacher, her aim is to inspire as many people as possible to live healthy and happy lives by implementing the practise of yoga and eat healthy nourishing food. She follows the Ashtanga traditional method of teaching giving special attention to each student focusing in the alignment of the body. Studying Ayurveda for the past years, both in India and America, has given her a medicinal approach of the practice of yoga. She also gives Ayurvedic life-style consultations that help each individual to understand the guide lines how to live healthy and complete. Filipa travels every year to India to study with her teacher, Sharath Jois, and has has the privilege to study with international renowned teachers as Manju Jois, Eddie Stern, Dena Kingsberg, Mark Robberds, Annie Pace, Danny Paradise, among others. After working for over a decade now with different teachers and styles, such as Ashtanga Yoga, Vipassana Meditation and Yin Yoga, we have decided to open up to eclecticism and enrichen our practice from different points of view. It is this open, non formal approach to spirituality that we also teach in our Yoga studio. We have experienced great heights and challenging low moments, lived many lifes within this one, done many things, from modern dance to street theatre, washing dishes to construction work. In the end what interests us the most are the big Life questions, such as how to love fully, how to be free. In order to explore the possibilities that being human gives us, the vehicle we have chosen is Yoga. Yoga for us translates into a Life support system, an invaluable toolbox that provides the means to more skillfully handle the inevitable highs and lows of life and move courageously towards our full human potential. May we inspire each other. Lisette, is originally from Holland and lived in Switzerland for the past 12 years. In Summer 2018 she jumped into a new adventure and moved to Portugal enjoying the ocean and (almost) endless summer. Her yoga journey started in 2007 when she seeked to improve her core strength and after noticing significant benefits physically, mentally and spiritually, her practice became a passion and source of personal growth. Her classes incorporate principles from Hatha- and Yin yoga, with a strong focus on linking breath to the movement. Taking time to listen to your body and mind is key. Her interests off the mat: healthy active lifestyle , nature, hiking with her dog, books, surfing, my family, heart to heart conversations with beautiful people. Stefanie practices traditional Ashtanga Yoga since 2008. She began with Andreas Loh in Berlin and continued to study with Isa Guitana (authorized level 1 by KPJAYI) at Casa Vinaysa Lisbon, when she moved from Germany to Portugal, from 2010 until 2015. When invited to become Isa Guitana’s first assistant in 2010, she developed with her the assistant program, learnt intensively and received the blessing to teach. Her offer were Mysore Style and Led classes, private sessions, beginners and pre-natal workshops. Since 2016, Stefanie deepens her studies with Francisco Rodrigues (authorized level 2 by KPJAYI) at Yoga Lisboa. Ashtanga Yoga has become an intrinsic part of Stefanie and a source for healing, growth and joy. She has been researching it compassionately for cultivating inner freedom, its intercorrelation with life as well as its integrity in being a mother and family, relationships and collectivity. She follows wholeheartedly her deep need for an outlet of service. Coming from a background in Dance, Zarah had always been amazed at the capacity, grace and intelligence of the human body and how closely these aspects are linked to our body. mind and spirit. Zarah started her yoga journey in Australia in 2004 and has not looked back since. The light lit within her led her to study many styles of yoga and delve deeper into the philosophical and spiritual aspects of the practice. As a travelling yogi, she has been teaching for over 6 years in many countries around the world. She is accredited in Astanga Vinyasa, Hatha yoga, Pranayama, Thai yoga and Ayurvedic Massage and childrens yoga. Zarah believes in the unique power within all of us and that yoga is the key to unlocking our potential both as individuals and as one. She hopes to share with you. Britta Trubridge (B.A. Psychology), creator of B-Tru Yoga™, is a 500h RYT of the Sivananda Vedanta School, a 300h certified Ayurvedic Counselor and a Reiki Master with specialties in acupressure, crystal and chakra therapies. Britta is also an avid freediver and is the yoga specialist for the elite Vertical Blue freediving school. 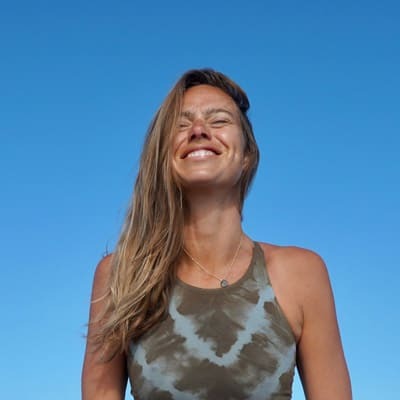 Britta’s synergistic work in combining yoga and freediving has allowed for a great depth of experience with internal flexibility, the bandhas, pranayama and mental artistry, which forms the basis of her methods. Britta regularly contributes to MindBodyGreen, Origin Magazine, elephant journal and Greenster and is an ambassador for Yogasana Yoga Mats and Ravishing Jewelry. Britta currently holds workshops and retreats worldwide. Check out her website! 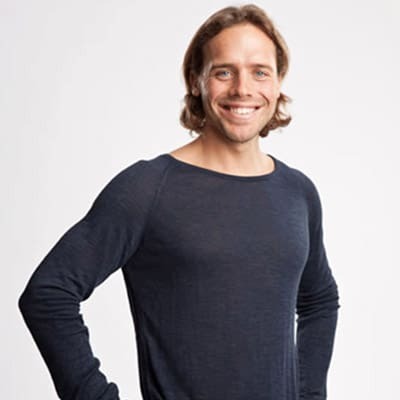 Timo is working full-time as a personal fitness trainer, yoga instrctor, athletic’s trainer for tennis- and golf players since 2003, also in health and prevention work. Next to his customers for exclusive one on one training, he also is leading a variety of fitness projects with 4 to 50 participants all over germany. His greatest reward is the joy of customers who increased their body and life balance due to their close relationship and manage day-to-day activities with more ease. Timo himself is really passionate for sports, especially tennis and climbing. He just adores surfing and, of course, fitness sports. To calm down and relax after all the powering, Timo uses Yoga- and breathing techniques, which he also transmits to his customers as a fully certified Yoga teacher. Katja has been practicing yoga already for almost 20 years. 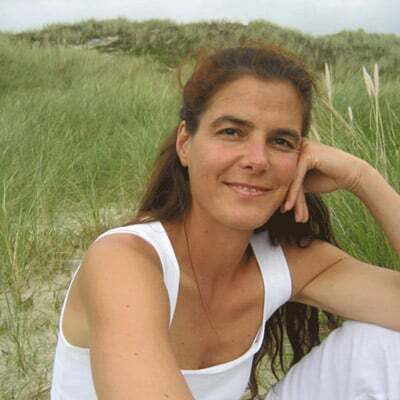 10 years ago she has turned their hobby into a career and has since traveled around the world organizing yoga holidays on islands (Sylt, Gomera, Amrum, Helgoland, etc.). She likes spending her winter world on Guadeloupe, one of the best surfing areas. Her new destination in 2013 is the Karma Surf Retreat. As being being half-French, part of her roots come from the French Atlantic coast and therfore she just loves the ocean! 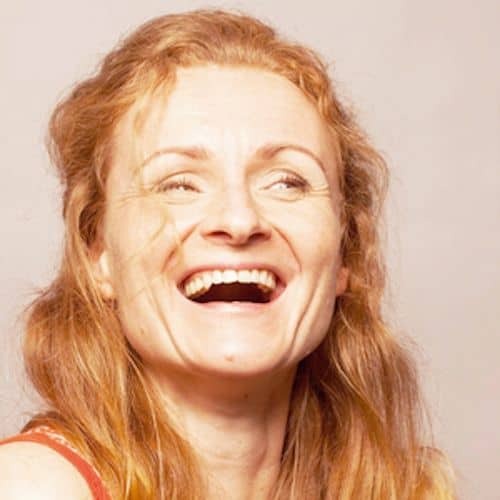 Born in Hamburg, Katja has a 3-year education in Kundalini Yoga, Several courses in Iyengar, Vinyasa and Yin Yoga. She likes to mix different yoga styles that complement each other perfectly and adjusts her lessons to the respective participants. Katja is also well trained in anatomy and Chinese medicine by her degree as Shiatsu therapist. In the Morning she likes to start a surfing-day with dynamic yoga exercises to build up necessary strength for paddling, in order to give stability to the back fom the center – the “hara”. After surfing the yoga stretching exercises help her to relieve a srtrains in muscles, exremities and neck.